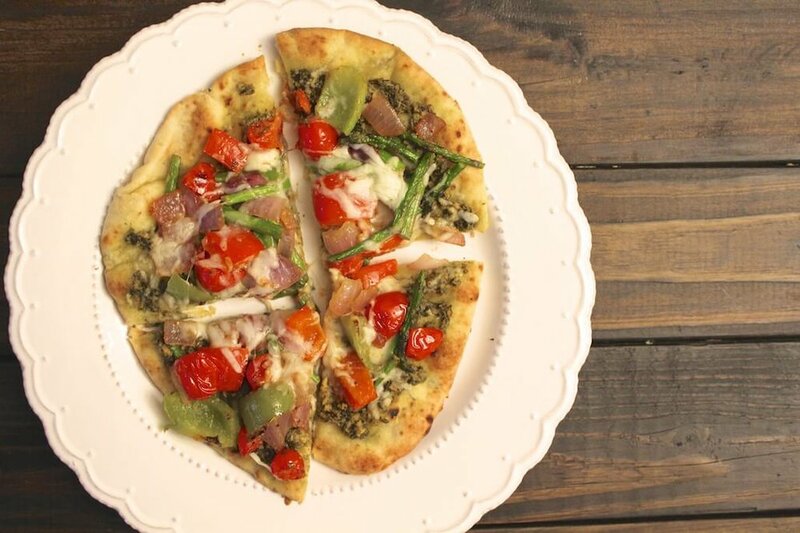 Here's a pizza recipe you'll love because it's completely guilt-free! 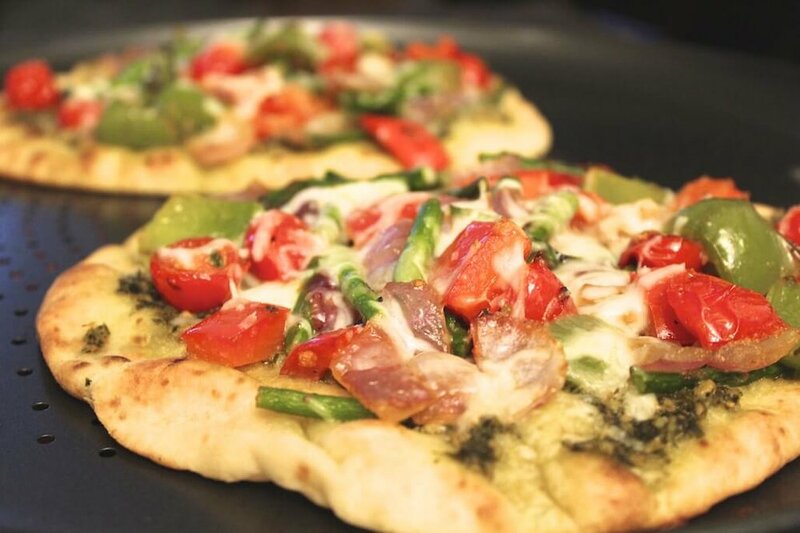 By using naan bread, you can have homemade healthier pizza in under 20 minutes! This pizza recipe is one of our favorite weeknight dinners because it is so easy to make and so delicious. Change it up by using different vegetables or tomato sauce instead of pesto! Pre-heat oven to 400 degrees. While the oven warms sauté the veggies in 1-2 Tbsp olive oil over medium heat until soft, about 10 minutes. Place both naan on a baking sheet and spread pesto over each. Top with sauté veggies and cheese. The recipe makes a lot of veggies so save what you don't use another meal. Bake for 8-10 minutes until cheese is melted and crust is crispy.